IP rights are neither perpetual nor limitless. In fact, IP rights are inter alia limited in scope, duration and by express exceptions. 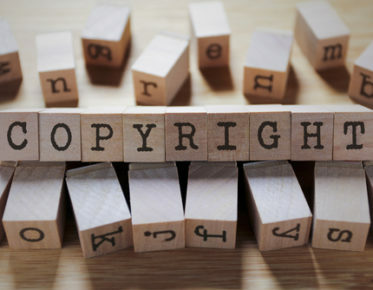 A sometimes forgotten limitation of IP rights is exhaustion, or the “first sale doctrine”, which is the name it bears in the U.S. In essence, the IP right related to a certain article is considered to be exhausted once it has been sold with the consent of the IP holder. From a geographical perspective, two alternative principles (leading to very different outcomes) can be distinguished. The first one is national exhaustion, which entails that only a sale of an article within the relevant national territory would exhaust the IP right. 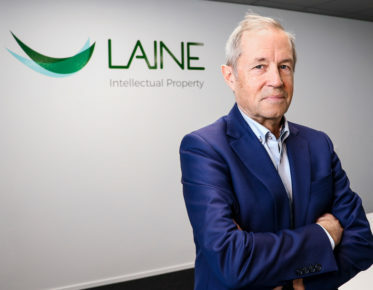 According to a second principle, such territorial distinction is not recognized, i.e., a sale anywhere in the world can exhaust the IP right (international exhaustion). In the U.S., the United States Court of Appeals for the Federal Circuit (Federal Circuit) as well as the Supreme Court of the United States (SCOTUS) have considered the question of exhaustion from many different perspectives in their earlier judgments. In this article, I will discuss the judgment of the SCOTUS in a quite recent case regarding exhaustion, Impression v. Lexmark. The judgment was handed down on 30 May 2017. The facts of the case can briefly be described as follows. Lexmark International Inc., (Lexmark) is a company that designs, manufactures and sells printer cartridges to consumers in the U.S. and abroad. The company owns a number of patents covering components of those cartridges as well as the manner in which they are used. 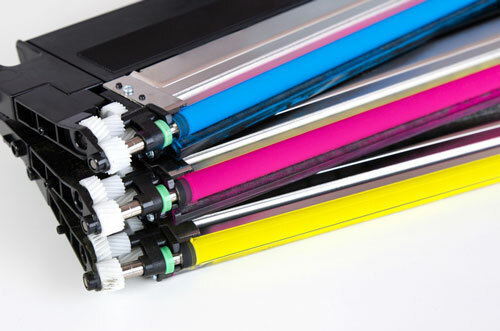 When the toner runs out, the toner cartridges can be refilled and used again. This has created an opportunity for other companies such as Impression Products, Inc. (Impression) to obtain empty Lexmark cartridges from the purchasers, refill them with toner and then resell them at a lower price compared to Lexmark’s new cartridges. 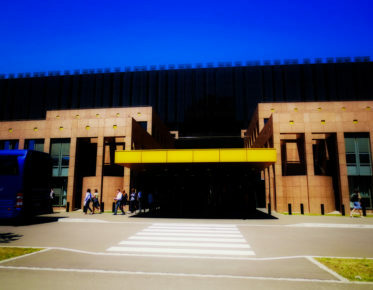 Lexmark brought a patent infringement suit against a number of remanufacturers including Impression, who had obtained empty Lexmark toner cartridges from consumers both in the U.S. and abroad, and then refilled and resold them in the U.S. On appeal, the Federal Circuit went en banc and in essence held that a foreign sale of a U.S.-patented article, when made by or with the approval of the U.S. patent holder, does not exhaust the patent holder’s U.S. patent rights in the article sold. The Federal Circuit considered this to be the case even when no reservation of rights accompanies the sale. This decision was consistent with the previous case law of the Federal Circuit (e.g., Jazz Photo Corp. v. International Trade Commission). 2. Whether, in light of this Court’s holding in Kirtsaeng v. John Wiley & Sons, Inc., that the common law doctrine barring restraints on alienation that is the basis of exhaustion doctrine “makes no geographical distinctions,” a sale of a patented article — authorized by the U.S. patentee — that takes place outside of the United States exhausts the U.S. patent rights in that article. While both questions are interesting, I have decided to focus on the second one in this article. Before the SCOTUS ruling in Impression v. Lexmark, it would have been quite fair to say that a concept of national exhaustion was adhered to when it comes to U.S. patent law. This status quo may have been rattled a bit by the SCOTUS ruling in Kirtsaeng v. John Wiley & Sons, Inc., (“Kirtsaeng“) where the SCOTUS held that a regime of international exhaustion could be applied in a copyright case. It should be noted that Kirtsaeng concerned copyright and the national exhaustion rule was still considered by many to be good law when it came to patents. Well, not anymore. In Impression v. Lexmark, the SCOTUS in essence held that a regime of international exhaustion also applies to U.S. patents. Once a patent holder sells an item, it becomes the private, individual property of the purchaser, subject to no further rights by the patent holder. The SCOTUS held that companies could not enforce their U.S. patent rights when someone purchases their products legally abroad and then imports them into the U.S. The point of departure adopted by the SCOTUS in Impression v. Lexmark was quite different compared to the Federal Circuit. According to the SCOTUS, the Federal Circuit “got off on the wrong foot”. Where the Federal Circuit had considered that the doctrine of exhaustion reflects a default rule where the patent holder by presumption grants the authority to the purchaser to sell and item, and does not have to grant all the rights every time, the SCOTUS instead held that exhaustion limits the scope of a patent. Here, the SCOTUS pointed out that the right to use, sell or import an item is a right that exists independently and separately from patent law. The grounds for the SCOTUS ruling are quite interesting. Namely, in addition to its ruling in Kirtsaeng, the SCOTUS referred to an old common law doctrine, which had refused the “alienation of chattels”. The SCOTUS quoted Lord Coke who apparently in the 17th century had said that if an owner restricts the resale or use of an item after reselling it, that restriction “is voide, because…it is against Trade and Traffique, and bargaining and contracting between man and man”. Even if the doctrine is quite old, it expresses a quite important principle. Trade and commerce should not be unduly restrained and once an item is sold, it no longer is in the control of the seller. Well, you are not alone. Justice Ginsburg wasn’t convinced either. In the dissenting opinion, she first points out that patent law is territorial. When an inventor is granted a U.S. patent, said patent will only be effective in the U.S. Sales abroad operate independently from the U.S. patent system and a foreign sale should not exhaust U.S. patent rights. This is a quite strong argument. As Justice Ginsburg rightly points out, a competitor is free to sell a patented product abroad without any U.S. patent law consequences. So how did she tackle the SCOTUS’ previous view in Kirtsaeng, where the court had held that a principle of international exhaustion should apply? Well, she didn’t really have to, since she had dissented and rejected international exhaustion in Kirtsaeng as well. What is your opinion on the ground relating to the doctrine on the prohibition on the “alienation of chattels” from many centuries ago; is it convincing? To a lawyer from a civil law country this ground may appear quite foreign, but isn’t the argument relating to the free flow of trade as such quite strong? What is also quite interesting is that the SCOTUS in Impression v. Lexmark as well as in previous rulings regarding patent law and exhaustion made a reference to contract law. The court in essence stated that the parties are generally free to impose restrictions regarding sale etc. in contracts (as long as they are lawful). As a result, even though the IP right attached to an item may be exhausted, the party may still violate a contract. This is quite important to remember. Now what about the extraterritoriality of the exhaustion doctrine under Impression v. Lexmark? As suggested by Justice Ginsburg in her dissenting opinion, patent law is territorial. Shouldn’t exhaustion be evaluated under the relevant national law applied to the relationship in casu? Why should U.S. law apply all over the world? Also, if exhaustion applies in other countries, shouldn’t the U.S. patent holder also be able to enforce his exclusive rights in other countries? If the answer is no, isn’t there a risk of imbalance here? The holding of the SCOTUS and the grounds of the judgment will not only impact companies which hold a U.S. patent, import goods to the U.S. and sell their products abroad, but also legislators, courts and IP scholars all over the world dealing with the question of IP exhaustion.